Auditioning for Ghostbusters | Lump, what lump? I am halfway through my treatment today. I have another 2 chemo Sessions and 15 radiation sessions left. So here’s an update about how I feel. Last chemo Session was Wednesday last week. I know I feel off on a Thursday and Friday. Then by Saturday evening I start feeling good again. However I had a sudden loss of appetite. As in I am not in the least bit hungry. and had no food for 4 days. This topped by having a HUGE amount of mucosa in my mouth. To the extent that before I can talk to you I need to have a spitting session into a glass first. It’s horrible. 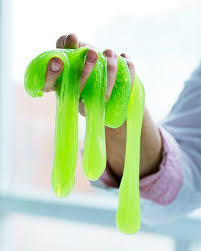 It’s thick like slime. I could audition for a part as one of the ghosts in Ghostbusters – no special effects required. I have been diagnosed with Mucositus and dehydration. I’ll put a link to Mucositus on the Useful Links page of this blog. I am under care of a dietician. My aim is to be able to consume 125ml of soft food every 2 hours. Protein shakes preferable. I cannot eat anything solid anymore. The food just sits in my mouth. Doesn’t quite make it down the digestion tract. So soups, jellies, yoghurt etc are my meal of choice at the moment. Besides the mucosa and nausea I’m doing OK.
Have realised that it’s VERY IMPORTANT to have someone by your side through all this. This entry was posted in Uncategorized by Lanthie. Bookmark the permalink. Thankfully you have a wonderful caring partner to see you through all of this – stay strong. Just dropping by to say hello and send out my prayers and support. My gal’s mom is also going through chemo for lung cancer right now so I know how it is. Stay strong. I’m glad you have company to see you through this. Sorry you have lost your food again, I hope the road to recovery is a relatively short one and you get it back soon. Keep positive and you’ll be just fine. Lanthie is halfway through her treatment got throat cancer. 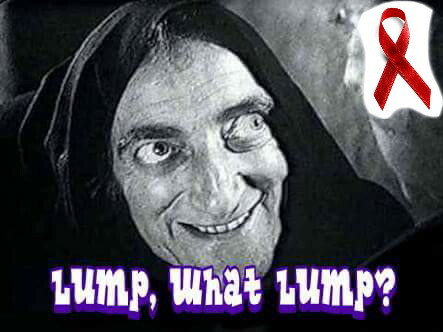 Please head over to Lump, What Lump? and give her some love, thanks….